The upcoming Android Q was leaked earlier this month and has since been confirmed to bring in a lot of new features like the system-wide dark mode, and a new focus of privacy. In a report by 9to5Google, they decompiled the latest Android version of an app that Google uploaded to the Play Store and found a number of interesting features which they say may never make to the final version of the Android Q or Android 10. 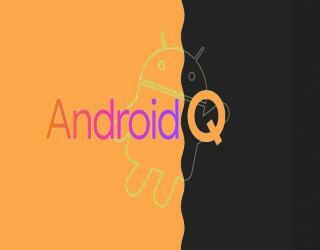 Calling the Android Q as Android 10 will be in line with the previous nomenclature wherein the Android O was called the Android 8, while the Android P was called the Android 9. The O stands for Oreo while the P stands for Pie. In the report, Android Q has been tipped to bring in native support for better facial recognition, and will probably natively accommodate sensors found in the iPhone XS’ infrared camera, dot projector and flood illuminators. The facial recognition setup will be similar to that of the fingerprint scanner and will be separated from the current trusted face menu as well.